GoodReads Summary: Emily Murphy is about to enter middle school. She’s sort of excited… though not nearly as much as her best friend Hazel, who is ready for everything to be new. Emily wishes she and Hazel could just continue on as they always have, being the biggest fans ever of the Unicorn Chronicles, making up dance moves, and getting their regular order at The Slice. What I Think: I've been excited to tell students all about Things That Surprise You because it is such a real book about having friends, keeping friends, and making friends that I imagine many middle schoolers will relate to. It's a book I would recommend to readers who like Rebecca Stead's Good Bye Stranger and Ann Brashares' The Sisterhood of the Traveling Pants. 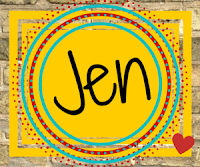 As a mentor text, I love how Jennifer takes a moment and describes it so that we can feel what the characters are feeling. I pulled out two snatches of text that include similes that I love. They demonstrate how we have to be intentional about the similes we include. The imagery she creates with this similes definitely match the mood of the character and the scene. I also like how Emily, the main character, has her own character arc but her sister Mina has one as well. Too often writers focus on the main character and how he or she changes but we also have to look at how our supporting characters change and how our main characters might even impact the change our supporting characters go through. It's real life, right? But being able to do it in our writing as well is important and Things That Surprise You is a perfect mentor text for looking at how the main character isn't the only one who is going to grow as the story progresses. Writing Prompt: Write about what you look for in a good friend. 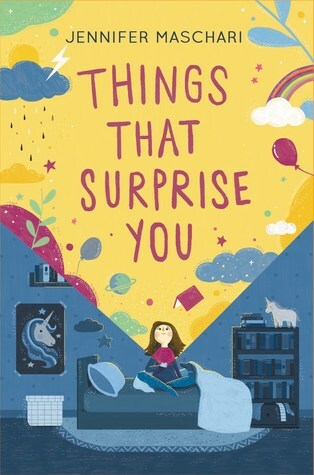 Use examples from Things That Surprise You and Emily's experiences with friends in the book and connect to your own experiences as well. One grand prize winner will receive a Crafty Unicorn Kit! The prize includes a fun craft kit, a copy of THINGS THAT SURPRISE YOU, unicorn stickers, and puzzle cards!